Despite his English-sounding name, no great upheaval was involved when Timothy Chandler signed on with Eintracht Frankfurt as a youngster. The son of a US serviceman, Chandler was born in Germany's financial capital and grew up in the area with his German mother. It is therefore no great surprise that his first steps in the world of football were taken with the city's biggest club. His progression can be measured in strides rather than steps, as he debuted for Eintracht's reserve team at the age of 18, establishing himself in their side for the next two seasons in Germany's fourth division. There he caught the eye of one of Eintracht's league rivals, 1.FC Nuremberg, who signed him in 2010 with the promise of first-team exposure. One of the first things the Bavarian club did was to move Chandler from his attacking position into a full-back role. Just halfway through his first season with der Club, he took his Bundesliga bow and scored his first goal in February 2011. 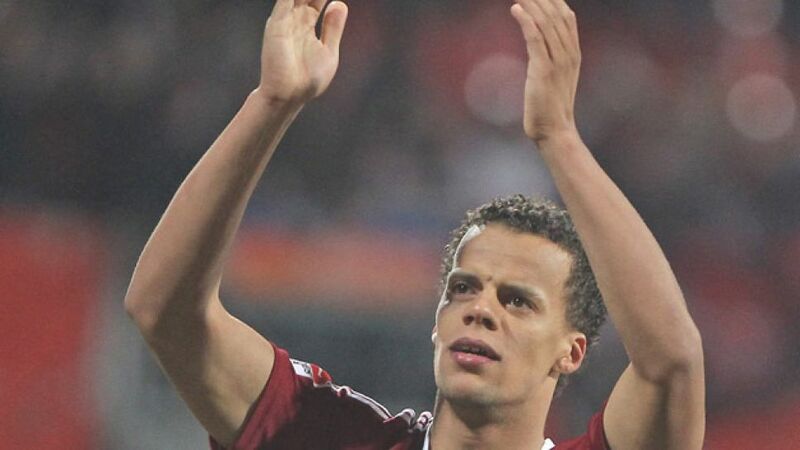 After playing 14 of Nuremberg's 17 games in the second half of the campaign, he earned a new professional contract. So impressive were his performances that he soon had to confront the next big decision in his life - whom to represent at international level. He opted for the USA and picked up his first international cap just two months after making his Bundesliga debut, appearing as a substitute against Argentina. A few days later, he celebrated his 21st birthday with his first start for the States against Paraguay. Despite his young age and relative inexperience at full-back, Chandler has already been earmarked to succeed USA captain and Hannover 96 defender Steven Cherundolo in the national team.